Private Peaceful Villa with Private Pool. €70/night one couple, €20/extra guest. Property 7: Private Peaceful Villa with Private Pool. €70/night one couple, €20/extra guest. Property 28: Charming chalet "La Laurma"
Large Garden Apartment, Central & Secure Neighbourhood. Property 43: Large Garden Apartment, Central & Secure Neighbourhood. 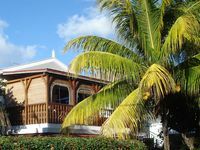 Property 50: Bungalow typical African in a residential area just 200 meters from the sea. We really enjoyed a wonderful stay in this beautiful cottage &lsquo;Out of Plett&rsquo;. 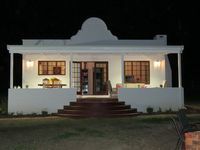 Lovely amenities, garden, braai area and friendly, helpful hosts. The kitchen is great with very good appliances and everything very clean. Thoughtful starters of coffee, tea, sugar and milk were much appreciated. Thank you Paul and Bettina! Perfectly located, spacious and well equipped apartment on the first floor was all we needed. But there are also lovely and helpful hosts, so our 10 day stay was fantastic.